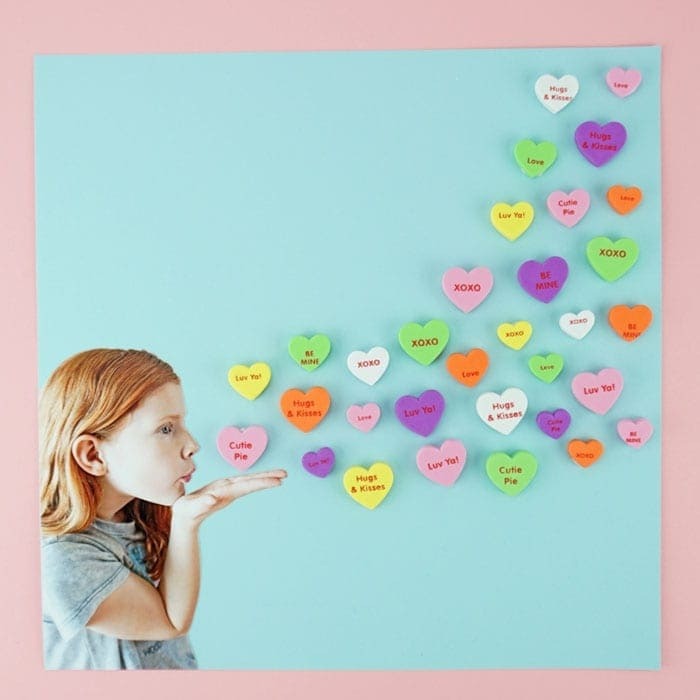 We created this Blowing Hearts Valentine Craft for kids as a sponsored craft for Oriental Trading. The full details and instructions for the project can be found on their idea’s website at Fun365.com. There is something extra special about giving a personalized gift to a loved one on Valentine’s Day. 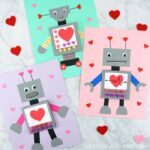 This blowing hearts Valentine craft is super easy for kids to create and it makes a fun Valentine’s Day keepsake gift to give to parents or grandparents. They will treasure this sweet gift year after year. 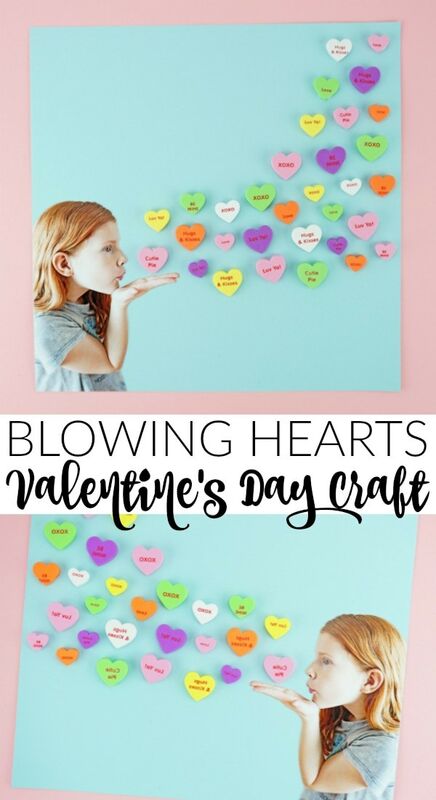 There is so much to love about this blowing hearts Valentine craft. The personal touch of using the photograph is probably the sweetest idea ever for a Valentine craft. Don’t you think?! 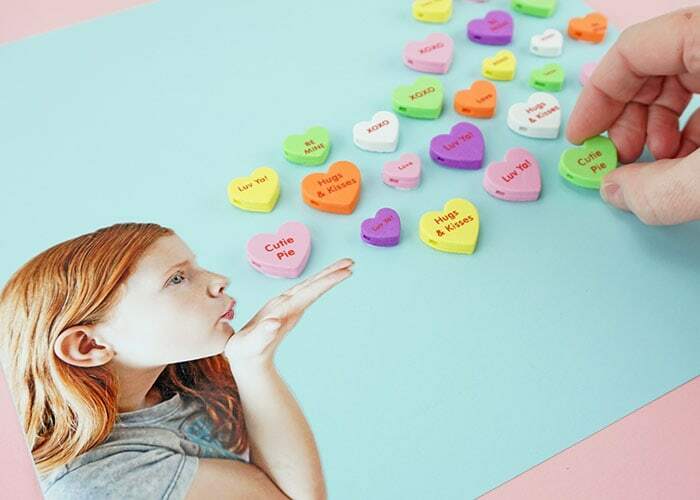 The foam conversation heart beads we received from Oriental Trading add another special touch that makes this Valentine craft absolutely perfect. They are thick and pop off the page adding real dimension to the craft. The best part, you’ll have plenty of beads left over for kids to create some cute Valentine’s Day jewelry for their friends for Valentine’s Day. The beads come with a few different sayings like “Hugs & Kisses”, “Love”, “xoxo” and more. There is also a great variety of colors and different sized hearts, so every child’s art project will turn out unique and completely different from one another. 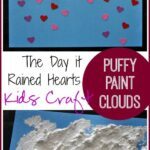 Head over to Fun365.com for the complete supply list and detailed instructions for how to make this adorable blowing hearts Valentine Craft for kids. 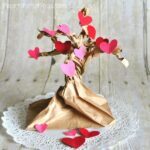 This handprint heart tree craft is beautiful and it’s another Valentine’s Craft that makes a great gift to parents or grandparents. The hearts popping off the page gives this pretty heart tree a three-dimensional effect. Do you adore sloths? If so, you will LOVE this paper sloth Valentine’s Day craft. Our handy template makes creating it super simple for kids. Use colorful paper doilies to create this gorgeous Valentine’s Day paper flowers craft. Yet another beautiful craft you can give to a loved one for Valentine’s Day.